Unfortunately, I don’t have a new post for you today. As you might be aware, I recently got back from a fabulous week-long trip to New York City. And I have never been so tired in all my life. I have now exhausted my supply of reviews that I had queued up and have been too sleepy to finish anything new. However, I have had a very lazy weekend and hope to be back on form in time for my Wednesday review. In a meantime, I thought I’d just give you an idea of what to expect between now and Christmas. While I may be a bit slow over November due to the NaNoWriMo, I have gathered together a pretty exciting selection of novels to read between now and Christmas. These include another visit to Hogwarts for my 450th review, a place on the virtual tour for Flynn Nightsider and the Edge of Evil by Mary Fan and a brand new Amelia Fang novel which should arrive just in time for Halloween! Hello readers! I hope you all are well. We’re well into the summer now, which is a great time to relax in the sun with a good book. Which is exactly what I plan to do. Although I’m not planning to go away myself until the end of September, I do have some exciting reviews planned that should give you a few ideas of things to take with you on your travels. Well, I guess it’s time for me to get started on them. Hope they give you some great ideas for potential summer reads! As you’re probably aware, today is YA Shot and I’ve been trying to think of a good way that I can celebrate. My reviews over the next few weeks may be a little slower than usual because of Camp NaNoWriMo, but I’ve decided to ignore my regularly scheduled reviews and instead bring to you a look at some exciting titles from UK based YA authors instead! I hope that you’re well. Christmas now feels like a distant memory and I’ve finally gotten through all of the books that I had lined up to read over the festive season. I’d like to say that means its back down to business as usual here on Arkham Reviews, but I think you probably know by now that things never quite work out the way that I have planned. 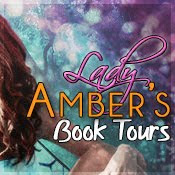 On top of my regularly scheduled renewals (and a few surprises), there are a couple of blog tours on the horizon – Threadwalkers by Joanna Volavka and Jinxed by Thommy Hutson. I’m also once again taking part in the YA Shot Tour in March. My partners this year are Katherine & Elizabeth Corr, the writing team behind The Witch’s Kiss series, so expect to hear a lot more about these books from me in the run up to the event. Now that The Sobeks are over, it’s time to start looking forward to what this year has to bring. I’ve decided to take a break from my scheduled reviews to do something a little more exciting. Over January, I’m going to be looking at a few things that I didn’t have time to get to before Christmas – one final festive submission and the books that I received from LibraryThing‘s secret santa event – but then I’m going to finish up the month with a few brand new releases. Will it be a positive glimpse of what is yet to come, or will it make me want to return to the safety of 2017. Check back over the next few weeks to find out! I had hoped to bring you my review of Tempus Abbey by Sammy Woodford today but I’m having a really hard time getting through the book. Really, it serves me right for reading two super long novels back to back. Instead, I thought I’d give you an idea of what’s coming up next on Arkham Reviews in the run up to Christmas. After Tempus Abbey, next up on the blog will be Lumberjanes: Unicorn Power! by Mariko Tamaki. Over the months that follow, my plans get a bit more vague. There are so many great novels coming up – including Phillip Pullman’s new epic – that I’m likely to throw my neatly made plan out of the window. However, I do know that there will be a few very special reviews in the near future. 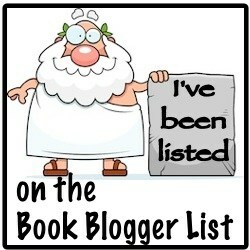 These include my 350th review and book tours for Ultimate Sacrifice by S.E. Green and Wolves and Roses by Christina Bauer.